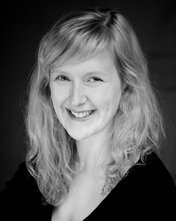 Ishbel teaches drama and English across Central Scotland, as well as working as a professional actor and director. Much of her own work as a theatre maker is about making poetry and art accessible to new audiences, whether that's by performing poems on trains or making theatre from an art history lecture. She has undergraduate and postgraduate degrees in English Literature and Art History from the University of Edinburgh, as well as a postgraduate degree in acting (Classical and Contemporary Text) from the Royal Conservatoire of Scotland.